Business Up in the Clouds? Cloud this. Cloud that. It’s all you hear nowadays. “I’m in a Cloud.” “We store our data in a Cloud.” “Our customers access us from a Cloud.” When did Clouds stop being fluffy, white, and gaseous and start working in the IT industry? A Cloud Provider is a company that provides computer services to other companies: servers, storage, networking, security, applications, data protection, and more. Companies who provide all or some of these services are called Cloud Service Providers or Service Providers. Well known global Cloud Service Providers are AWS, Azure, and Google. 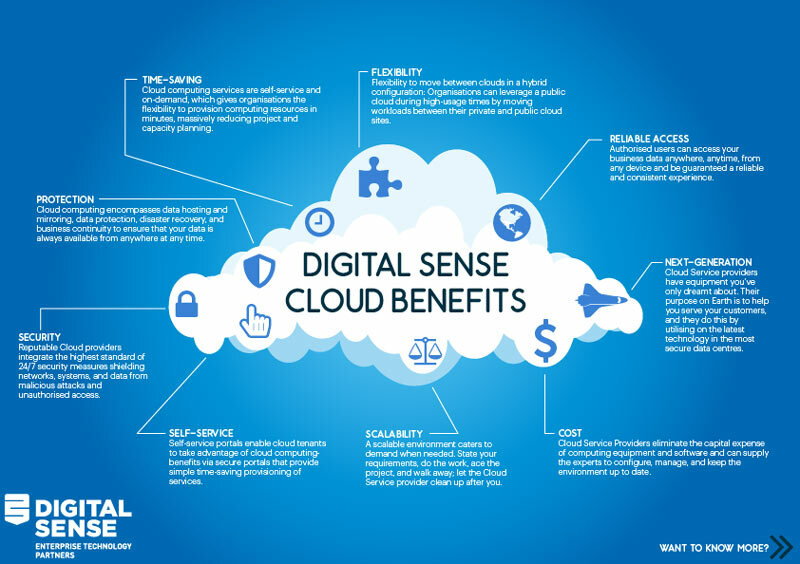 Digital Sense is an Australian Cloud Service Provider. PaaS model is useful for organisations who need an on-demand environment for a short-term project or to develop and test in-house applications before delivering them to customers. The Service Provider supplies the base infrastructure, storage, network, and databases. SaaS allows access to software over the internet. Google G-Suite is an example of SaaS – Gmail; Docs; Drive, and Calendar for business. Or Microsoft’s Office365 where users access Microsoft’s Word, Excel, PowerPoint, and email over the internet. Service Providers supply all the underlying IT infrastructure and handle all of the additional software installations, upgrades, and security patching. Have you ever purchased a new, shiny computer system only to find out its features are obsolete after a few months? How do you explain that to the Financial Controller? Cloud computing eliminates the capital expense of computer equipment and software. Cloud Service providers can supply IT hardware, software, storage infrastructure, networking, power, and cooling, as well as experts to configure, manage, and keep the environment up-to-date. Cloud computing services are self-service and on demand, which gives organisations the flexibility to provision computing resources in minutes, massively reducing project and capacity planning. Cloud computing is elastic. If you have a short-term project that requires extra IT resources only for the duration of the project, a Cloud service provider can deliver. State your requirements, do the work, ace the project, and walk away. Let the Cloud Service provider clean up after you. Cloud Service providers have equipment you’ve only dreamt about.  Their purpose on earth is to help you serve your customers, and they do this by utilising the latest technology in the most secure data centres. Remember that guy in team meetings who always looks tired and wired at the same time? That is your IT guy. He doesn’t sleep much because he works out of hours to keep your IT equipment up to date. He drinks a lot of coffee because it’s his job to troubleshoot performance problems, which always seem to happen at 3 am. Cloud Providers supply these services to you so that your guy can have a nap, and then apply his Master of Information Technology degree to creating innovative applications that will drive your business to dominate the market. Cloud computing encompasses data hosting and mirroring, data protection, disaster recovery, and business continuity to ensure that your data is always available from anywhere at any time. 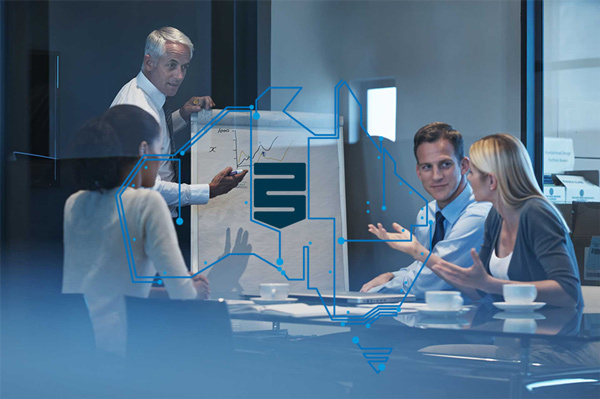 Digital Sense works with organisations to provide flexible workload hosting and protection solutions from on-premise to hyperscale cloud provisioned solutions. Digital Sense’s flexible workload hosting and protection solutions enable a smooth transition for customers looking to transition from on-premise hosted and protected data to a full Cloud hosted solution. Want to identify how moving to the Cloud can benefit your business? At Digital Sense, we can help you discern the “where, when, and why” aspects of your cloud migration. To set up a free workshop with our team, contact us today!